AT JCG Restoration, we are intentional about creating strategic partnership with other companies and organizations that share our appreciation and commitment to quality craftsmanship and unparalleled service. 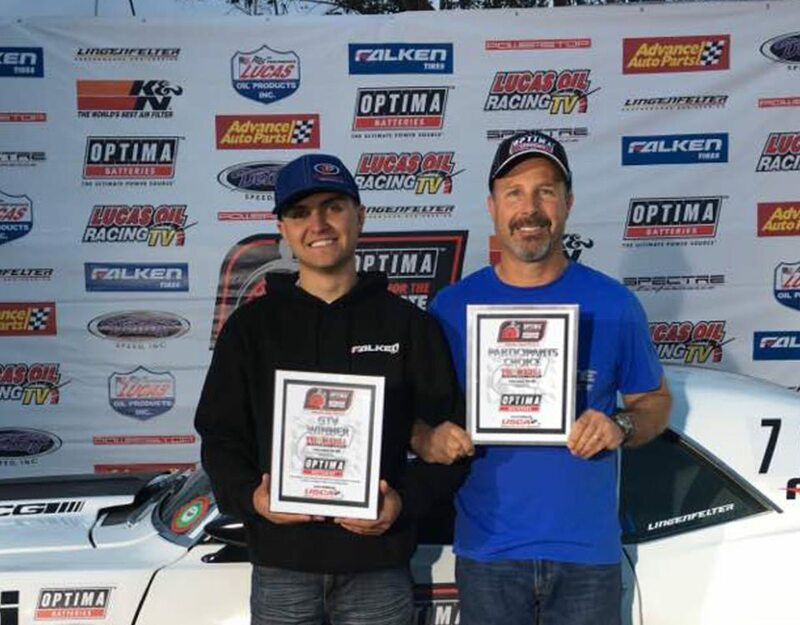 Forgeline Motorsports is a massive supplier to the custom wheel marketplace and we are ecstatic to have formed a great working relationship with their team. We recently took the opportunity to sit down with Forgeline owner David Schardt to pick his brain and get a beneath the surface view of Forgeline wheels and what makes them unique in a very competitive marketplace. Forgeline is a well-recognized name in the automotive world, but a lot of folks probably don’t know the man behind the business. So for starters, who is David Schardt? Sometimes, because I have been so involved with cars, auto racing, and wheels for virtually my entire life, even I have trouble describing myself beyond the context of Forgeline. So here are some things that you might not know about me: I’m currently 50 years old. I have a twin brother (fraternal, not identical). 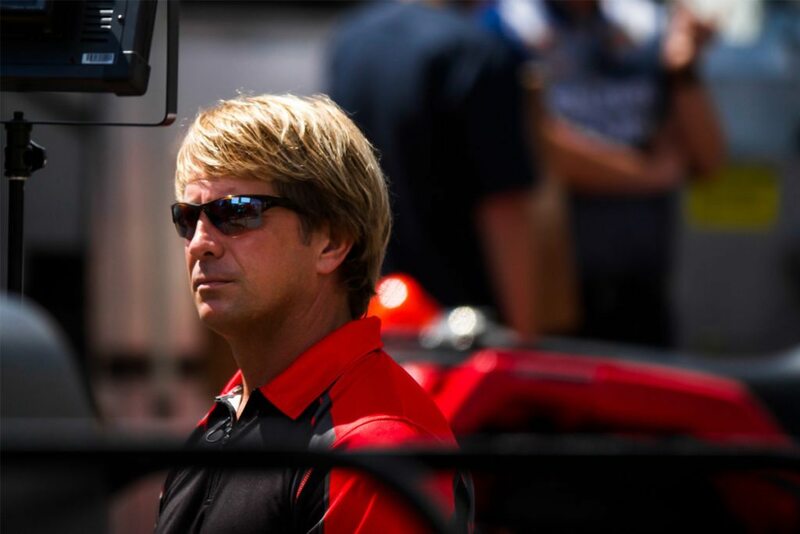 My brother, Steve, originally founded Forgeline and is our Global Sales Manager. I’m the father of two wonderful children and my wife, Sherri, and I just celebrated our 24th wedding anniversary. (And yes, she works at Forgeline too.) I’m a pretty good road course driver but I’m still learning my way around an autocross course. I enjoy lifting weights and try to keep myself reasonably fit. I love being out on the lake. I enjoy water skiing, in the summer, and snow skiing, in the winter. I am a little bit of a bourbon and wine aficionado. And obviously I really love cars and racing. Have you been a car enthusiast your whole life? I have definitely been an enthusiast my entire life. My father raced sports cars, including a Yenko Stinger Corvair that he still has, so I started going to the track, on the weekends, at a very young age. My brother and I earned our competition licenses as soon as we were eligible at age 18. And our entire family used to share the same Porsche 944 Turbo; each of us racing it in different classes during the same PCA weekends. In 1996, I nearly won the T1 class, in the SCCA National Championship Runoffs, at Mid-Ohio. I raced professionally, for several seasons, in the IMSA Speedvision and SCCA World Challenge Series, and enjoyed some success. But even since my competitive racing career, I’ve always had something fun to drive. I currently own a Porsche 964 Turbo, an E93 BMW M3 Convertible (actually my wife’s) And Forgeline recently acquired a C5 Corvette Z06 that I take to the track. Over the past 5 years, I’ve enjoyed several fun daily drivers, including a supercharged 5th-gen Camaro 2SS/RS, a BMW E92 M3 Coupe and a C7 Corvette Z06 to list a few. But I am really looking forward to driving the 1970 Camaro that I co-own with my brother that is currently undergoing a complete pro-touring build, complete with LT4 power, Detroit Speed suspension, RideTech coilovers, Baer brakes and the whole nine yards. When and how did Forgeline come about? I literally grew up in the wheel industry. My father, Jim Schardt, purchased Dayton Wire Wheel out of bankruptcy, when I was 6 years old. So as a kid, I spent most of my summer days cleaning parts and lacing wheels. After college, I briefly worked as a manager for a local tire chain and I noticed a need for the distribution of high-end wheel brands, in the Midwest. So I started a company called “The Wheel Source”, where we distributed brands such as MOMO, BBS, Speedline, and Giovanna. That company grew into 4 locations, throughout the Midwest and South, and kept me quite busy. But while that business was growing, I noticed a need for custom offset wheels, especially in the racing market. So in 1994, my brother, Steve, started Forgeline and manufactured a small line of custom made-to-order 2-piece welded wheels that I marketed and distributed through The Wheel Source. After a few years, Steve was ready to move on, and I had a vision for what could be the future of the Forgeline brand. So I bought Forgeline and closed The Wheel Source, in order to focus on just the one business. I think I made the right choice! Steve came back into the business about 5 years ago and we work very well together. Sometimes I ask myself that same question! But at the end of the day, wheels are in my blood. I’ve essentially been in the industry for over 40 years so I understand the business. More than that, I want to be here. I’m passionate about wheels and the applications in which they are utilized. I have very strong opinions about what makes a good wheel and about what makes a good wheel manufacturer. We have an incredible team of people, at Forgeline, and an effective collection of tools, machinery and facilities. If necessary, I’m sure that we could manufacture widgets for the aerospace industry too. What I want is to make the best wheels that we can possibly make. I go to bed thinking about it at night and I wake up thinking about it in the morning. And that passion is shared by pretty much everyone in our building. Do you feel like you have a specific niche in the aftermarket wheel industry? Our main focus has always been on motorsports and on making wheels that not only look good, but can also hold up to the rigors of racing. We focus more on performance and durability than we do on “design of the week” styling. It seems like, every time we show up to SEMA, there are multiple new wheel manufacturers that have sprung up. How do you remain competitive and differentiate your brand, in such a crowded market place? First, we actually manufacture our wheels in-house. Many of the fly-by-night brands, that you see come and go at SEMA, are really just marketing efforts. Most of them have no actual production capacity, so they contract with third party private label manufacturers. But we do everything, short of pressing out the raw forgings. So we own and operate our own lathes, our own mills, and our own powder coating equipment. And we do our own engineering and design. So first and foremost, our real value is derived from our skills and abilities, not just from a public perception of our brand name. Second, we stay true to who we are with our styling as well as our performance-minded designs. We grew up at the race track, and Forgeline started by building competition wheels. That racing heritage inevitably affects everything that we do. That’s NOT to suggest that every wheel that we sell is intended for competitive racing applications, because that is not the case. But our styling and our underlying engineering tend to reflect our purpose-driven personality. Third, I’m proud to say that we have some of the best customer service in the industry. We’re not perfect; mistakes happen, and unforeseen circumstances affect us too. But everyone at Forgeline genuinely cares about doing our best job and we take it seriously when something goes wrong. Fortunately, we’ve never had a culture of mediocrity. And because we control our own production, under our own roof, we usually have more capability to fix a problem than we would otherwise have if we were forced to rely on external manufacturing partners. So these things certainly help us to meet our customers’ expectations. What would you say is your specialty? Being flexible. We built this business by basically never saying “no”. Of course, that was easier to do, when we were smaller. But we still try to fit every vehicle or do whatever we can to give our customers what they want or need. We’re at an ideal size now where we’re large enough to have the skills, tools and operating capital to tackle a challenge. But we’re not so big that we have restrictive layers of management or strict operating procedures that deter innovation. We make changes, almost every day, to improve our process. And most of these changes are driven from ideas that are generated by our employees. Because we are family-owned and operated, we’re not forced to answer to any external investors. That leaves us free to experiment and to focus on quality, even if the payoff isn’t always directly obvious on the bottom line. What is the biggest or most acclaimed project Forgeline has been a part of? I am proud of all of our “big project” builds and championship-winning race teams with whom we’ve had the privilege to work. Every year, I am very humbled by the high-end builders and race teams that choose our wheels. And every year, I am amazed at how the cars continue to get more and more impressive. At the 2015 SEMA Show, we counted more than 50 cars on Forgeline wheels, including award winners from Roadster Shop, Detroit Speed, and Chris Holstrom Concepts. We consistently see our customers win Muscle Machine of the Year, Street Machine of the Year, and Truck of the Year titles, from the Goodguys Rod and Custom Association. 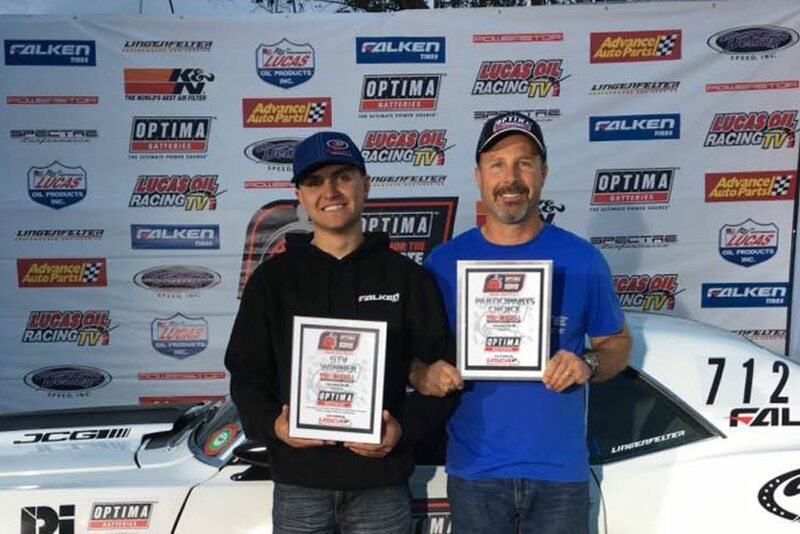 Our friend Danny Popp has won the prestigious Optima Ultimate Street Car Invitational THREE times, on Forgeline wheels (including consecutive wins, in 2014 and 2015). And recently, Scuderia Cameron Glickenhaus finished the grueling 24 Hours of Nurburgring, with one of their $2.5 million SCG003 supercars, on Forgeline wheels! Switching gears a little, Cris at JCG Restoration is a huge advocate of Forgeline wheels. How did you guys meet? At SEMA, several years ago, I was walking into the show, when an awesome blue ‘68 Camaro caught my eye. I walked over to get a closer look and then noticed that it was on Forgeline wheels! I had to know more about it, so I went over to talk with the person that was busy cleaning up the car. That car turned out to be Karl Dunn’s “Blu Balz”, and the person was Cris Gonzalez. I fell in love with the car and the aggressive “race car” styling approach that Cris took with the car. We talked for over an hour and have been friends, ever since! 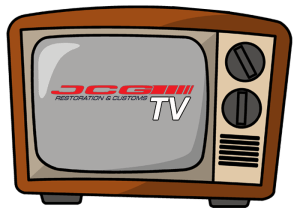 What do you like about working with Cris and his team at JCG Restoration and Customs? I love the fact that Cris is not afraid to think out of the box and to do things that other people would never imagine. I also love that most of his builds are very performance-oriented. He builds cars the way I would, if I had that talent! I also admire his work ethic; I swear, he must never sleep…. Do you have a favorite JCG project car? There have been many incredible builds to come out of the shop, at JCG Restoration & Customs! Karl Dunn’s controversial purple Dodge Challenger is famous. I’ve enjoyed watching the C3 Corvette come together, and I’m anxious to see the end result of the most recent set of changes. But I would have to default back to the Blu Balz Camaro, because that is the car that brought us together, and because it still holds up today, in terms of styling and performance. There are hundreds of great car builders, in the country. What is something you think that JCG excels at or that differentiates them from other renowned car builders that you work with? First of all, Cris is the REAL DEAL! And by that I mean that he brings a truly impressive set of skills to the table. Obviously, he is a visionary and a highly-skilled fabricator, but perhaps not everyone is aware that he also has an engineering background and can do real design work with CAD and SOLIDWORKS. I also like how most of his ideas start out as something to make the car faster or perform better but then they always look fantastic as well. I’m extremely thankful for his enthusiasm for Forgeline and his willingness to serve as such a positive brand ambassador. Thanks, Cris! Nice article. It’s good to know a bit more about JCG. Thanks for sharing the information about Forgeline wheels. Good Job.